Properly configure and operate your cutter head to avoid damage and to ensure proper performance. Download this free operating guide. ALPINE cutter heads are exceptionally effective when used properly. 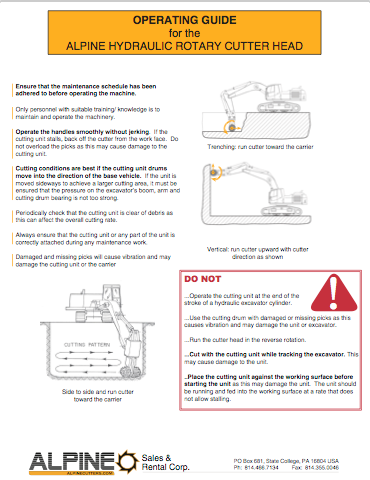 Ensure that your cutter head is properly configured and maintained with this free guide.